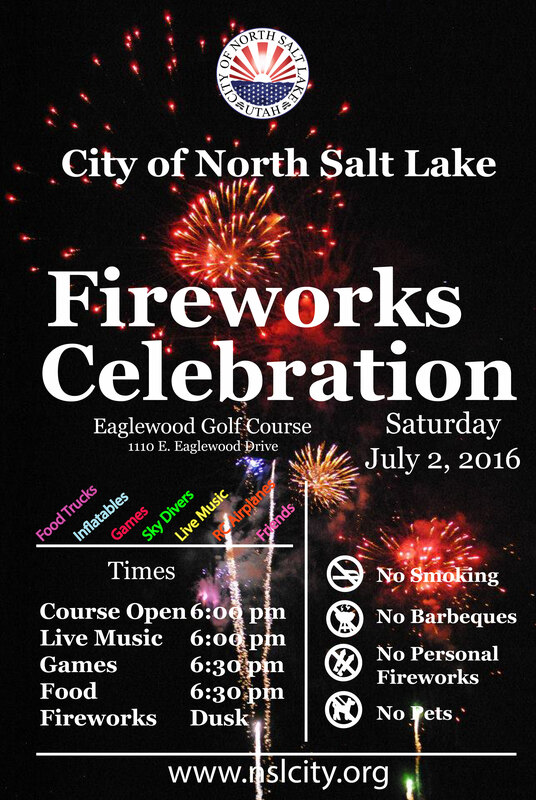 July 2 Fireworks, Food Trucks and Fun! Saturday, July 2nd is this year's NSL Independence Day celebration! The fun run 5K starts at 7:00 am at Legacy Park. Register at www.active.com. Evening fun begins at 6:00 pm at Eaglewood Golf Course! Come Hungry and experience the many food trucks we have lined up to be there. Enjoy games, inflatables, sky divers and live music as we anticipate the best ever NSL Fireworks show which will begin shortly after dusk. See you there!